Subscribe to our blog to stay updated on the latest industry news, new product launches and special offers. Medi-Dent Pty Ltd has been supplying premium quality products to dental professionals for 45 years now, but we always get excited when we establish a new relationship with a manufacturer who brings revolutionary products to our industry. We are proud to supply dental professionals with products from some of the world’s leading and most innovative manufacturers and blue®m and EthOss are two of those leading brands we are proud to support in Australia. 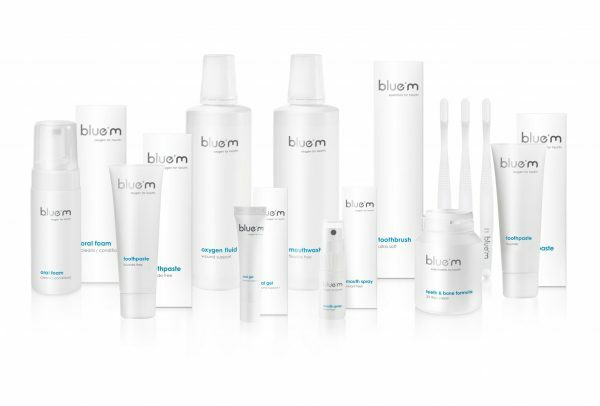 Based in the Netherlands, blue®m takes an approach to oral care that goes beyond just brushing your teeth. The blue®m team, as well as the team here at Medi-Dent, believe that oral health is essential to everybody’s total well-being. We support this approach by bringing in new products, educating our customers and by supplying a range of unique, tested, healthy and efficient dental products. One area of focus for blue®m is post-surgical healing. blue®m products were developed by a team of implantologists, oral surgeons and dentists led by the renowned oral surgeon Dr Peter Blijdorp. 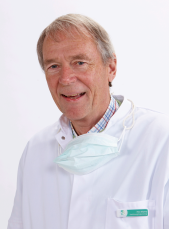 Dr Blijdrop, author of over 50 publications in leading scientific journals, still leads the team to develop the range of innovative products and continues to work as an oral surgeon, as he has done since his first surgery in 1976. The team pioneered the use of natural oxygen oral gel in lager maxillary reconstructions using bone from the iliac crest — a procedure which regularly resulted in bone loss. 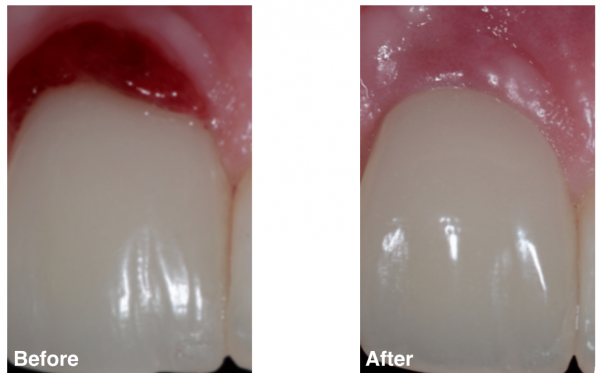 blue®m gel was developed to counteract this loss and proved successful, resulting in fewer complications and faster healing. This principle guides blue®m and its product development to this day. Today, blue®m Oral Gel is a class 1 medical device proven to speed up the healing process of oral wounds caused by procedures including extraction of implants and by dentures. It reduces and prevents bleeding gums, periodontitis and peri-implantitis and even aids in the healing of wounds caused by chemotherapy or radiation. The Oral Gel is an excellent adjunct in procedures where EthOss is used, reducing the likelihood of infection and promoting good tissue healing. 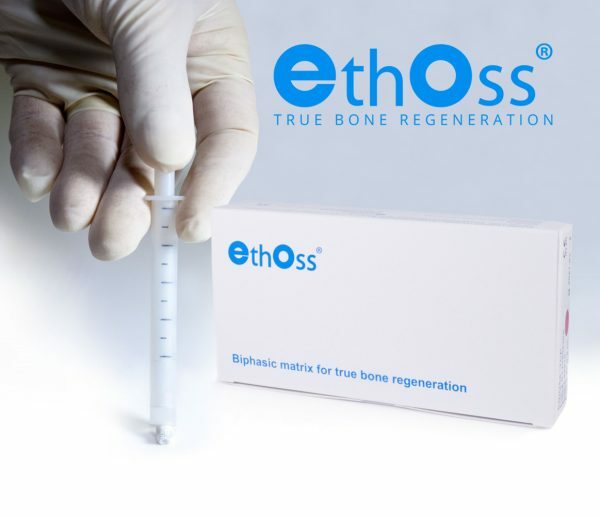 EthOss is an innovative synthetic bone graft solution for dental implants, used by dental professionals worldwide, including Australia. To find out more about EthOss, watch our video here. Another great source of information is the EthOss Patient’s Guide and also EthOss Product Brochure. You can also click here to visit EthOss websites. If you wish to order EthOss you can use our online Order Request Form. But blue®m is more than just Oral Gel, it’s a complete product range that offers clinical benefits to patients. blue®m toothpastes are an excellent choice for the care of implants and help teeth and gums to stay healthy. blue®m mouthwash and oral foam are fluoride and alcohol free and promote excellent oral health, while blue®m mouth spray is specially developed for people with bad breath and ideally suited to those with sensitive teeth. View the complete blue®m product range here. *By clicking subscribe I agree to receive regular marketing materials, promotions and deals from Medident.